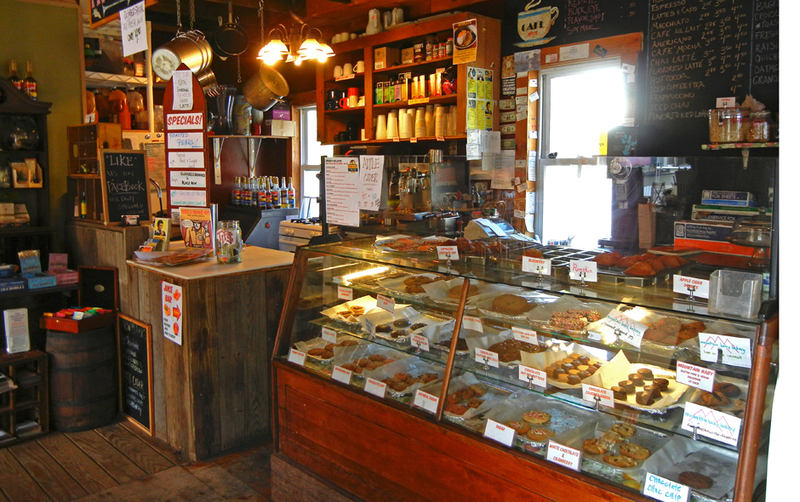 Nov. 30 will mark a sad day for the Ulster County hamlet of Phoenicia: Mama’s Boy Market, a popular cafe, coffee shop and local hangout, will shut its doors after losing its lease. “It’s been a great adventure here in Phoenicia, and the adventure continues just a few miles up route 214,” Koegel said. Koegel’s second Catskill restaurant, Mama’s Boy Burgers in Tannersville, will remain open. I’d like to thank all of you for five and a half years of support and friendship. Some people told me I was crazy to open a coffee shop in Phoenicia. But then others, strangers, would see me outside working on the renovation or picking up debris and call out “Thank you!” for doing something with this derelict lot in the middle of town. That’s when I knew I was doing the right thing. I hobbled this place together out of found objects and converted that tiny little shack into a a bit of an icon (or eyesore, depending on your POV). I put my heart and soul into Mama’s Boy and for every ounce of effort I put in, you matched it with your kindness and support. This place kept me going for five years, and on the 5th anniversary of opening the coffee shop, I opened Mama’s Boy Burgers in Tannersville. if it wasn’t for the good people of Phoenicia, Mama’s Boy Burgers would never have happened. I learned a great deal along the way, made a lot of new friends in the community and started a new life in this coolest small town. And Phoenicia isn’t the place it was 5 years ago; if I had any part of that at all, I’m as proud as hell.